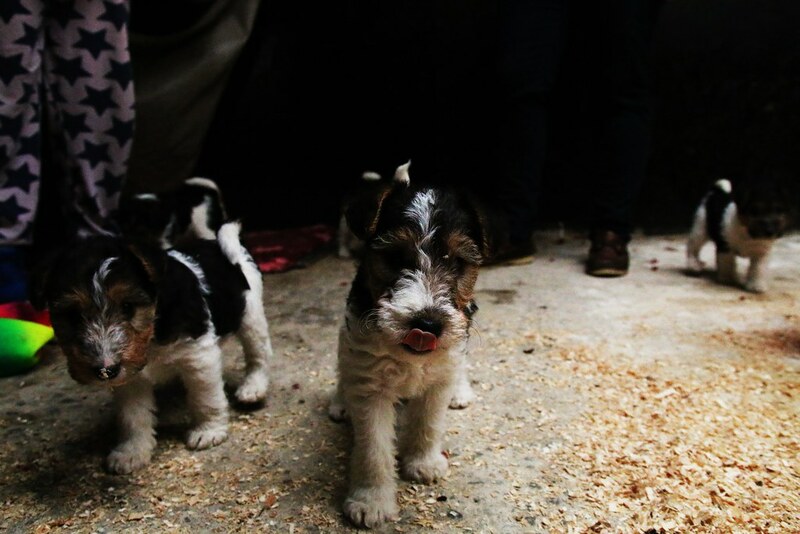 I've met Vix, the mother of these puppies, twice before (here and here) so when I found out she had had puppies, I just had to visit. 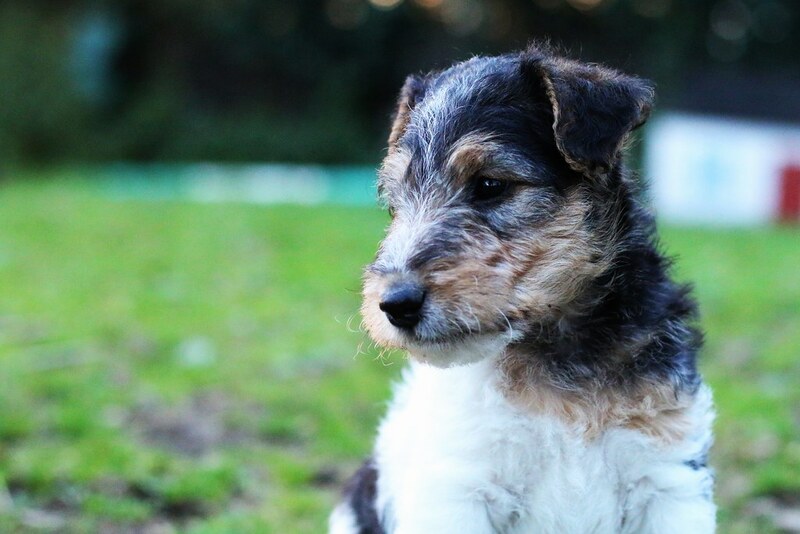 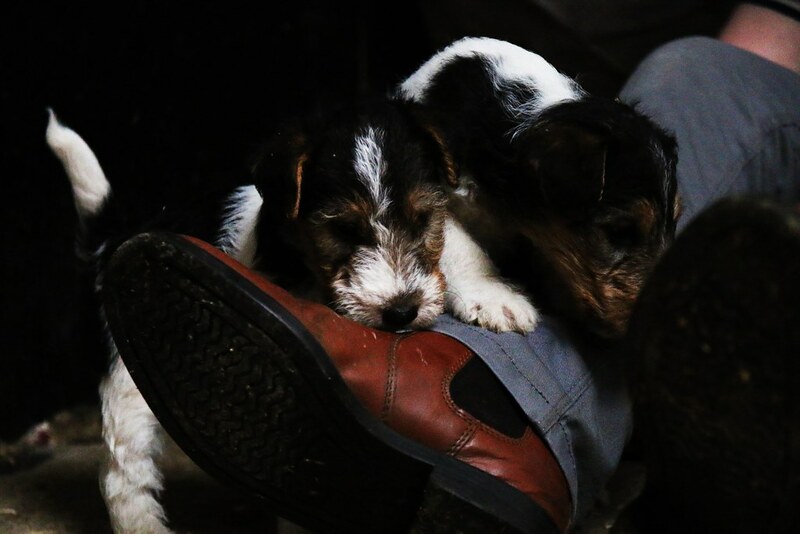 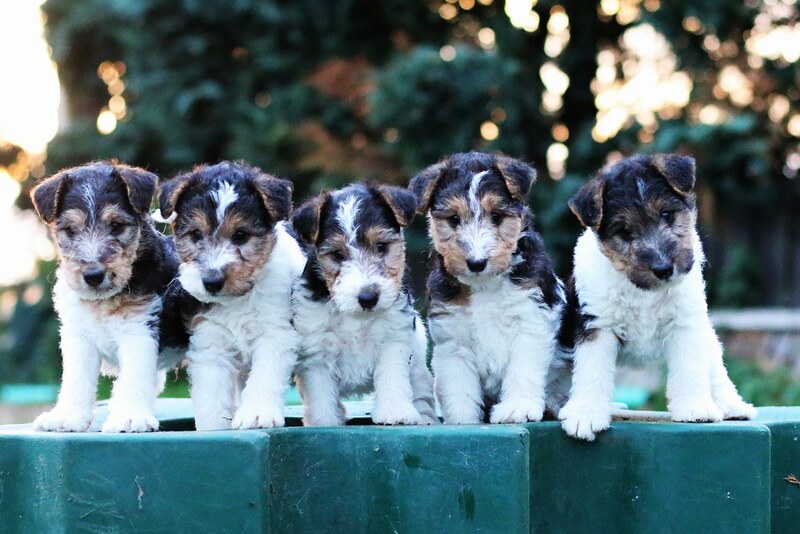 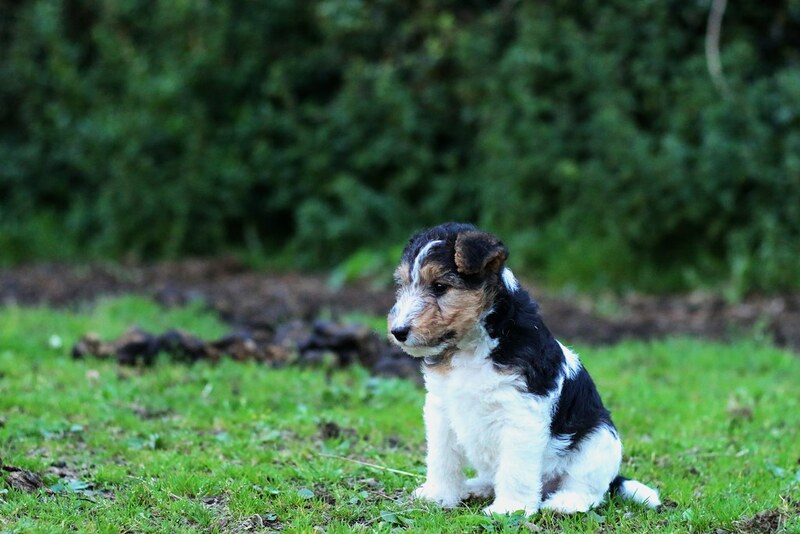 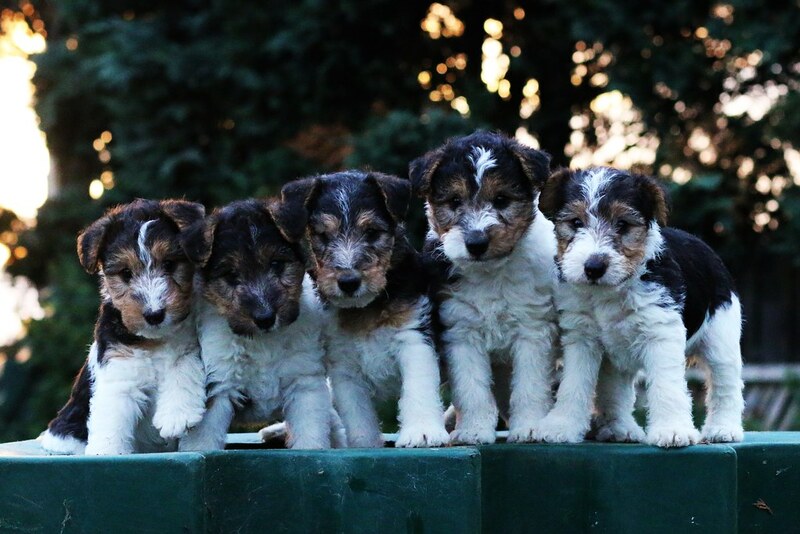 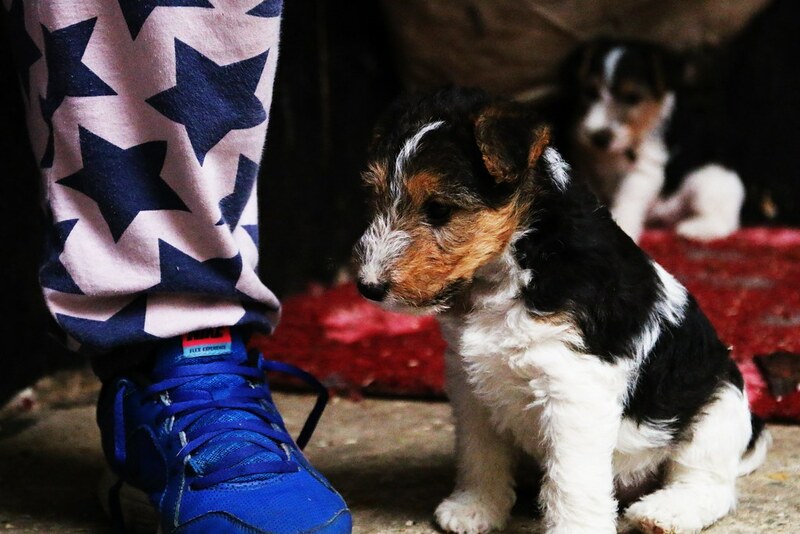 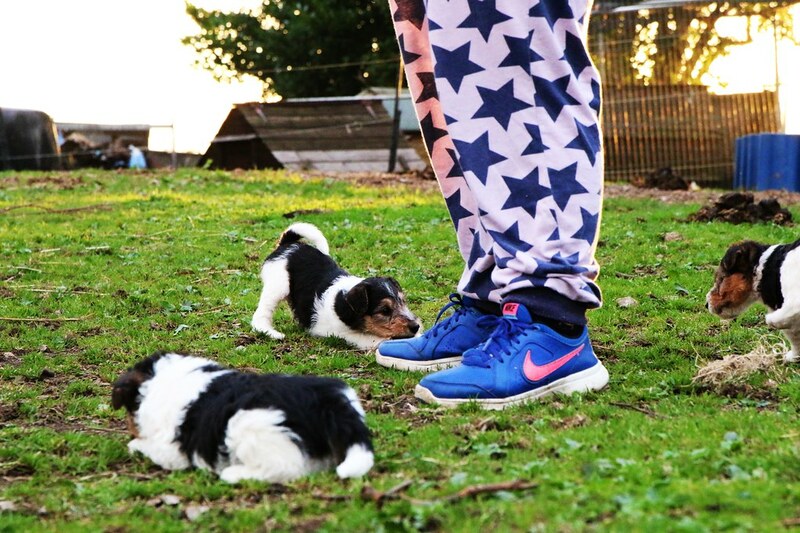 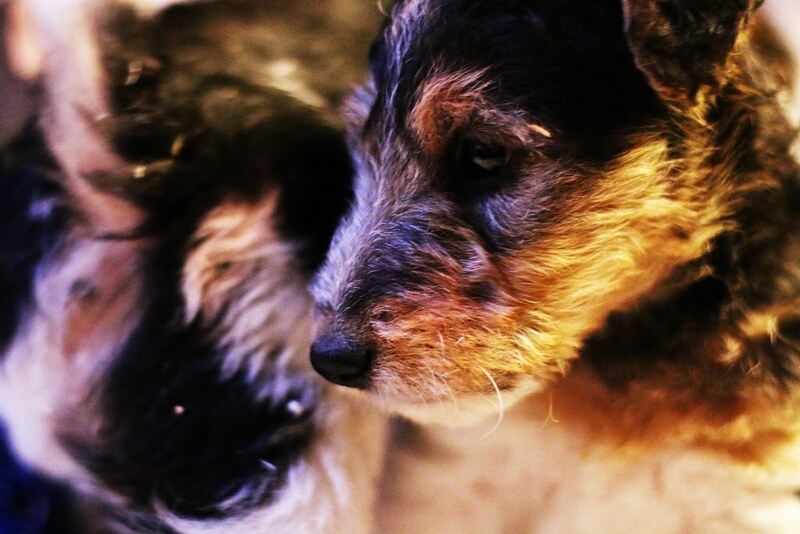 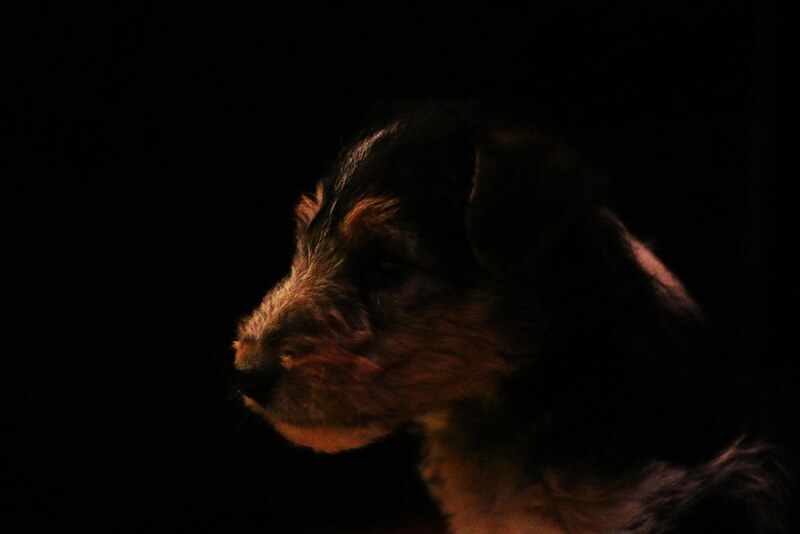 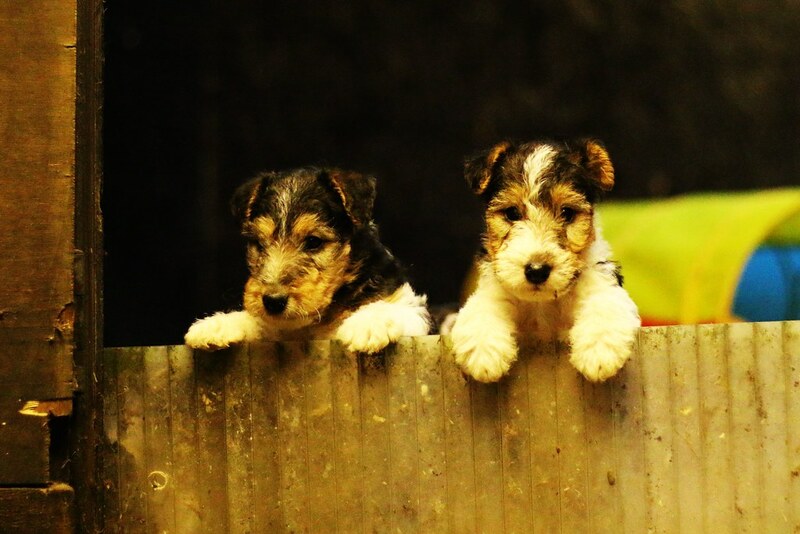 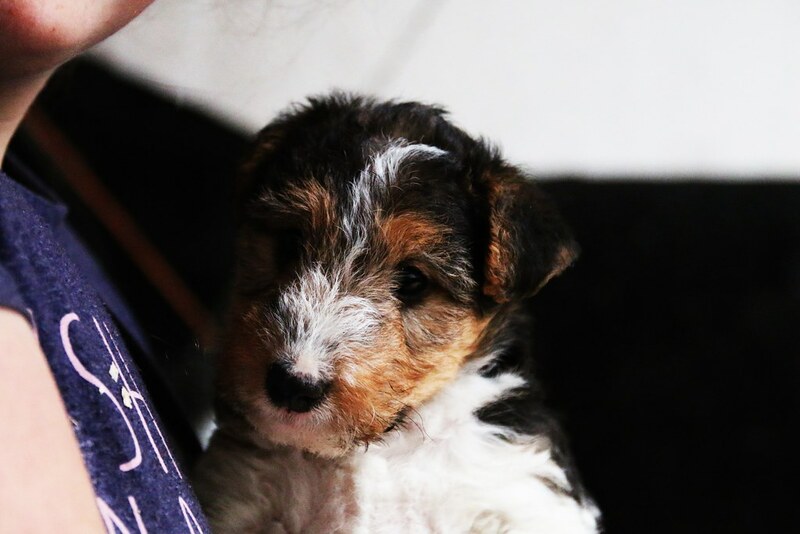 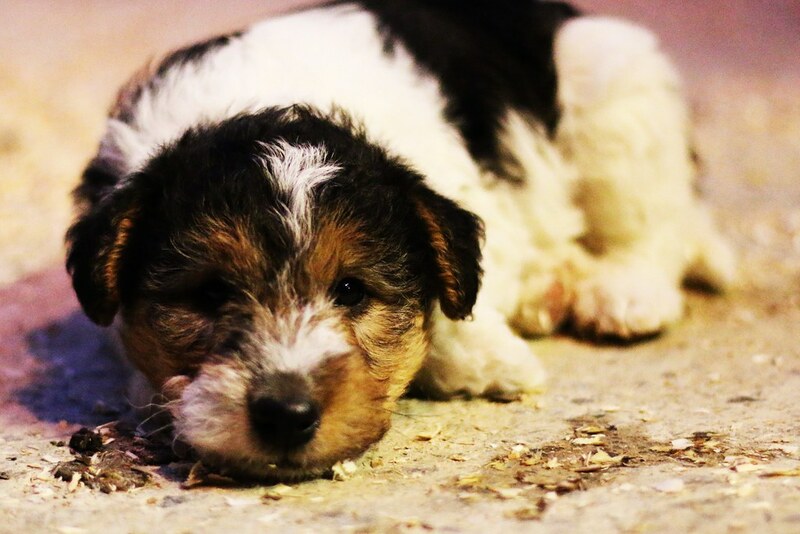 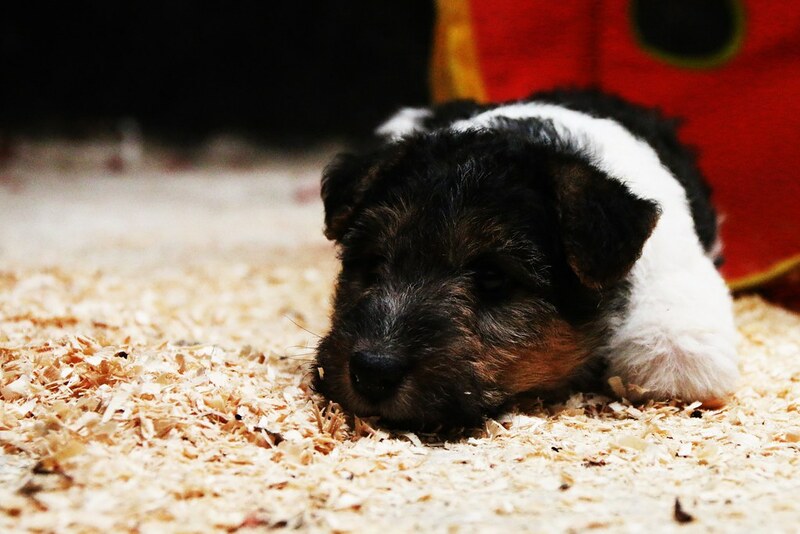 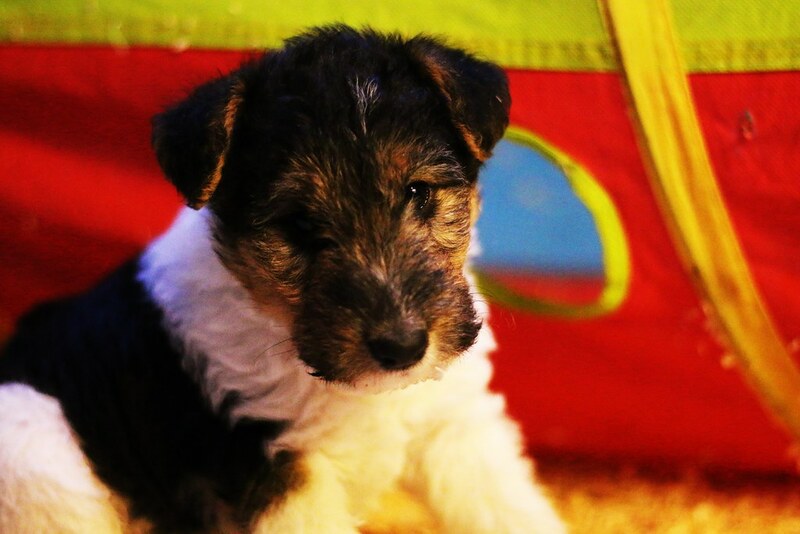 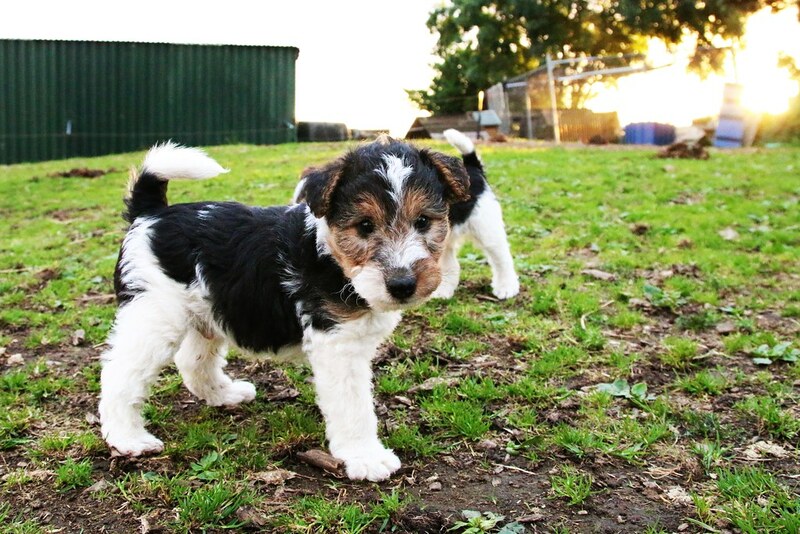 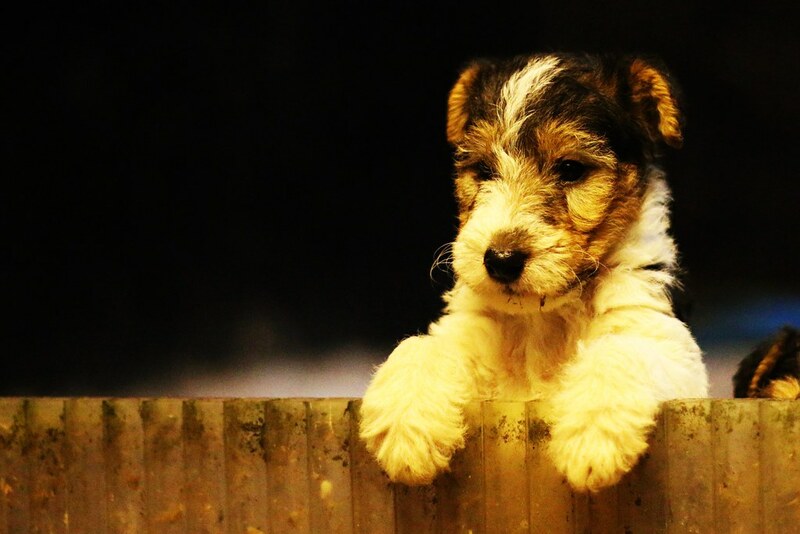 Now five weeks old, these little Wire-Haired Fox Terriers are full of beans! 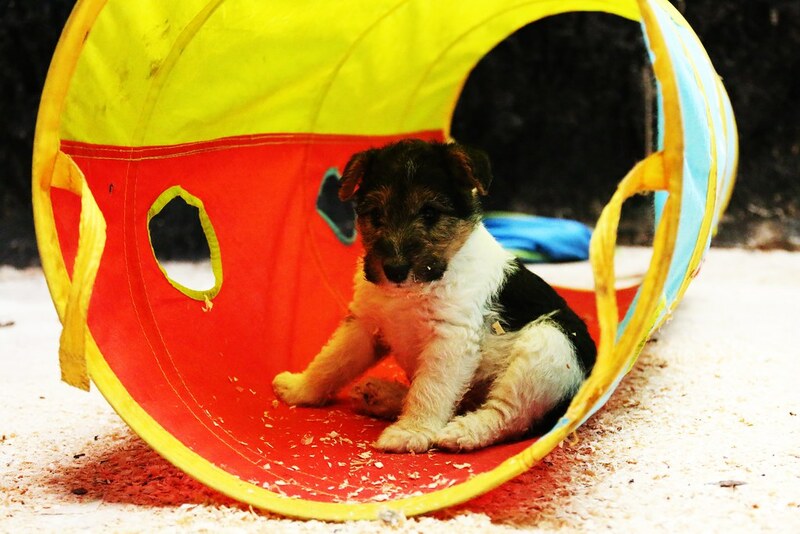 Are we looking at a future agility champion? 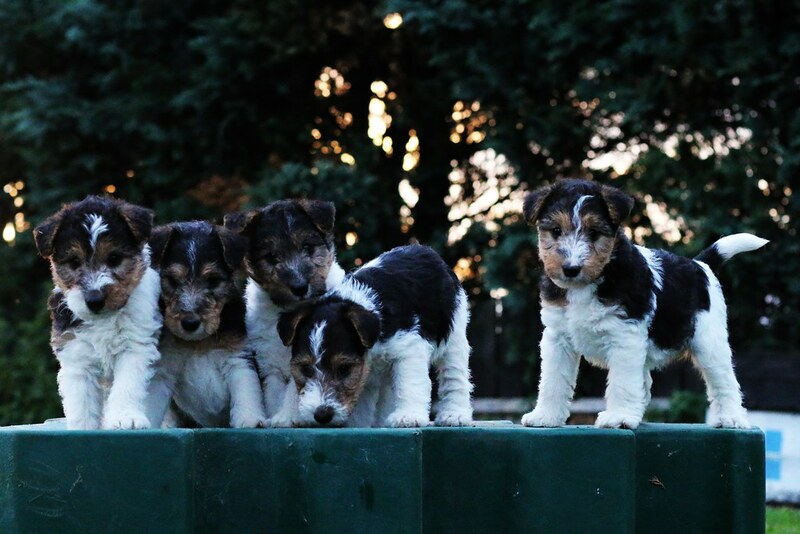 Just as the sun was going down the puppies enjoyed their first play outside. 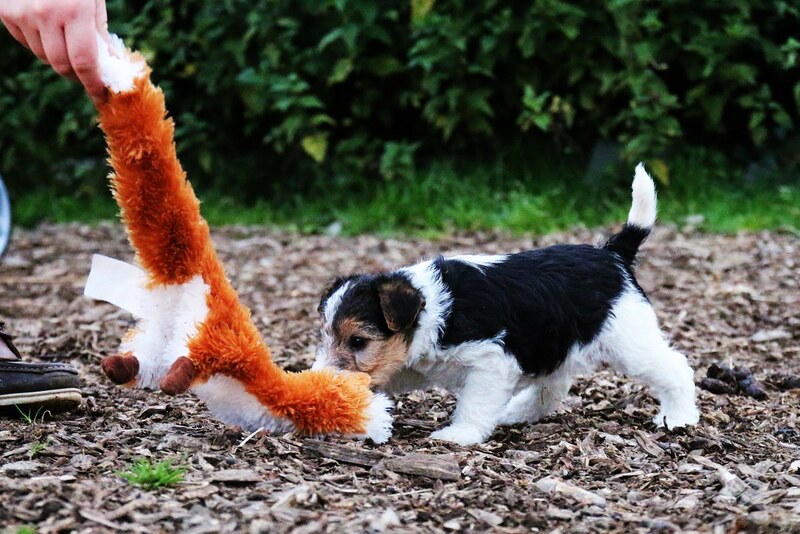 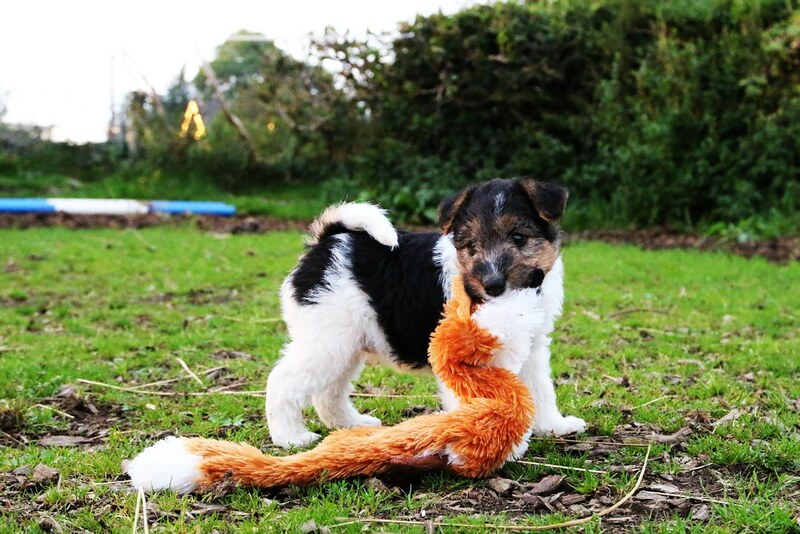 The squeaky fox was in high demand. 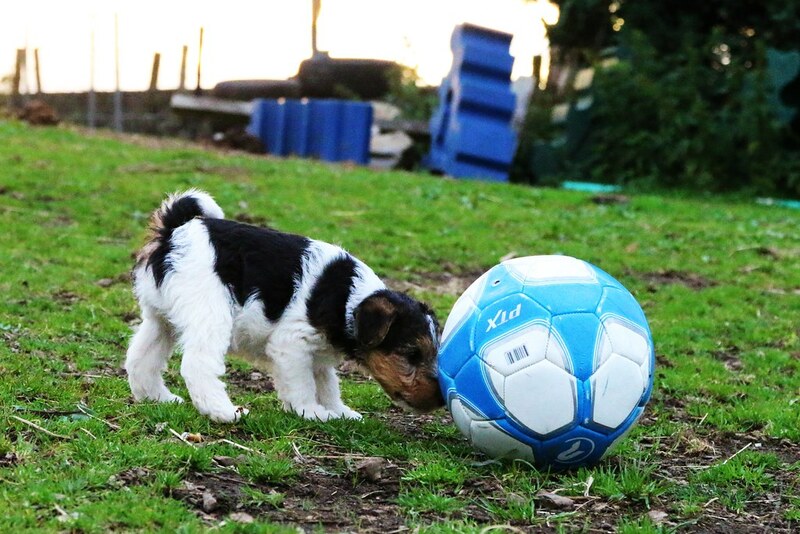 This football is going to take some growing into. 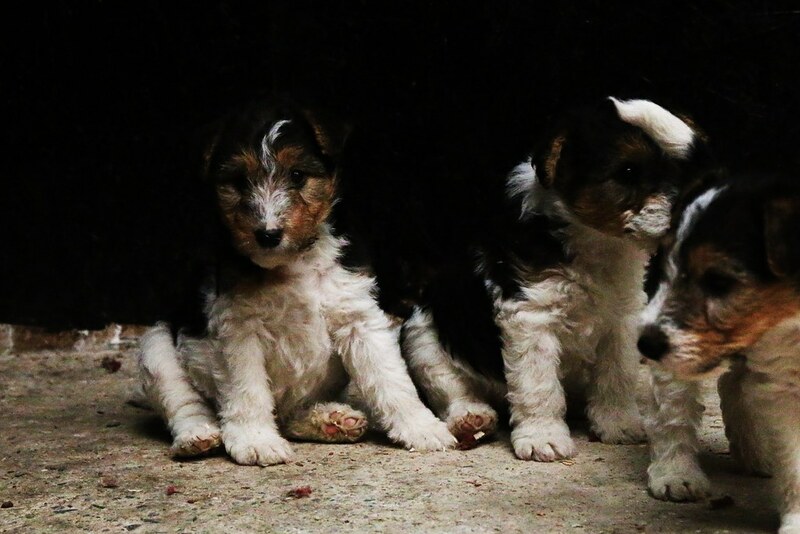 The second attempt turned out well, except that's one scared looking puppy on the end. 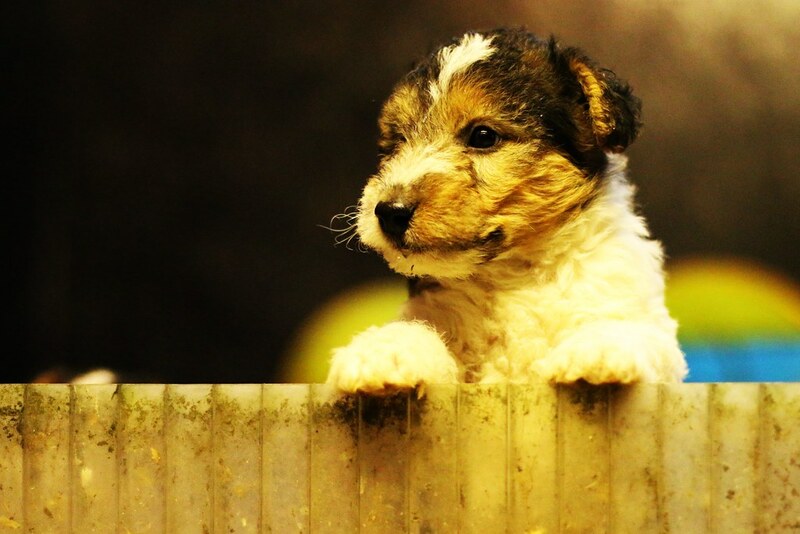 Third time lucky. 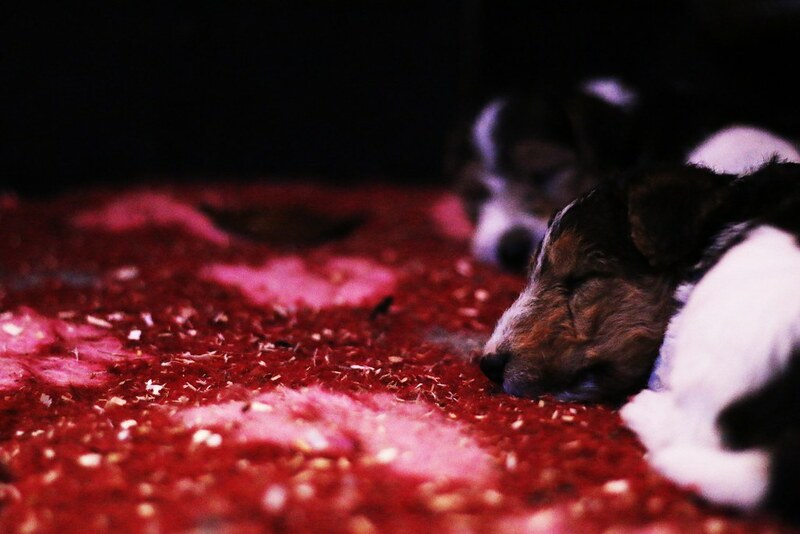 Such a cute little family. 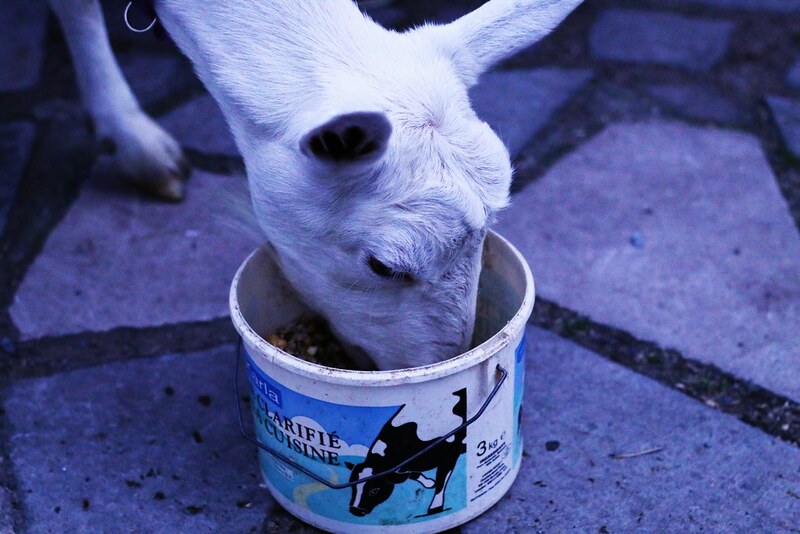 With the family portrait in the bag, Maisie the goat provided refreshments. 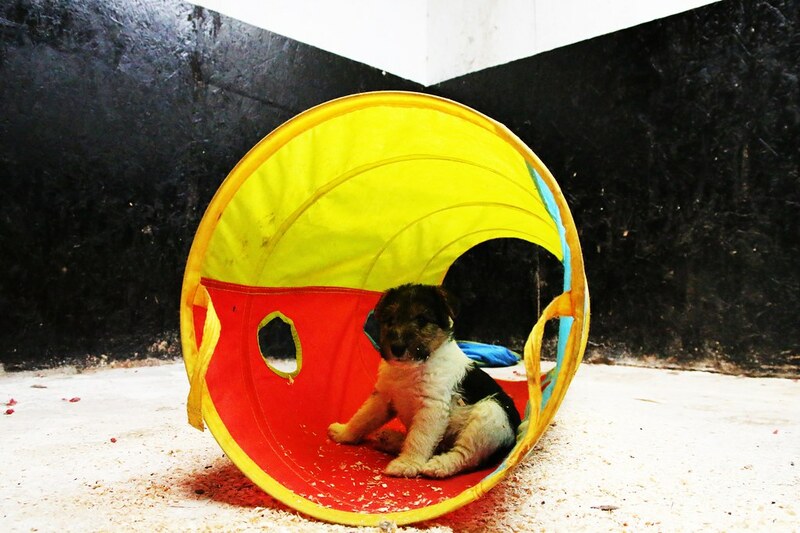 With tired paws and full tummies, the puppies were back in their pen. 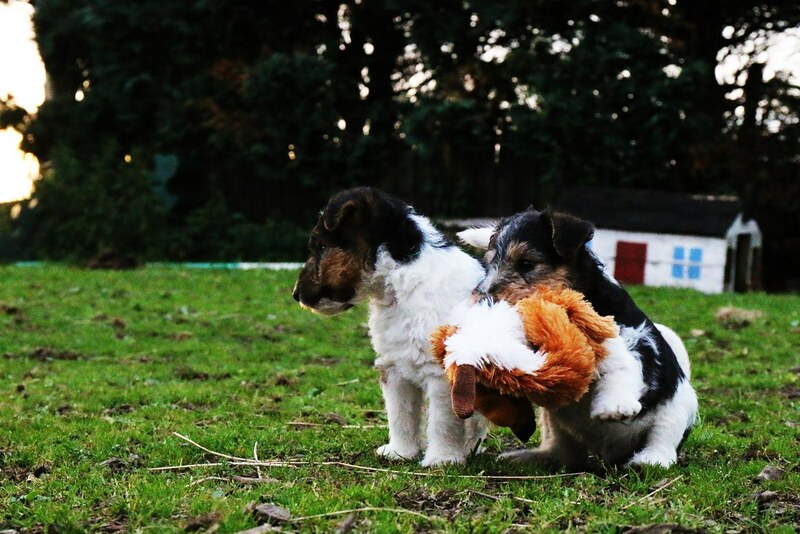 They were more settled than they were before their big adventure outside. 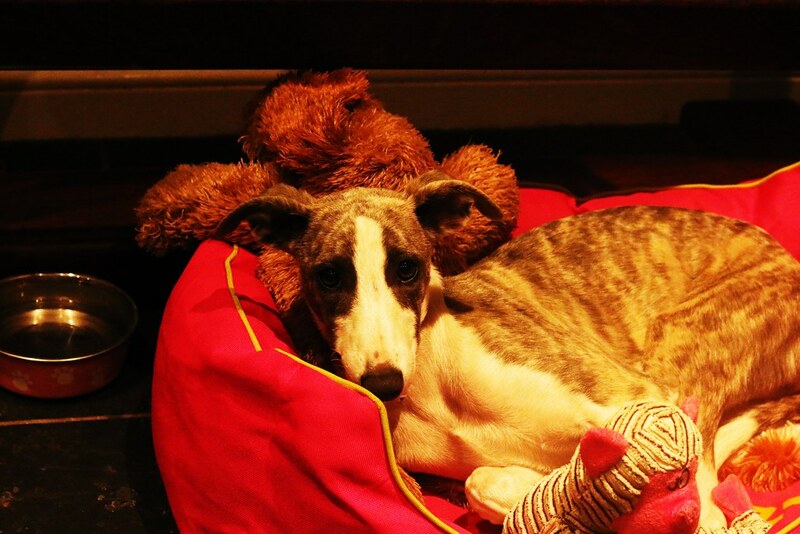 And just in case I hadn't seen enough puppies, I met an adorable 21-week-old Whippet called Sky in the kitchen. 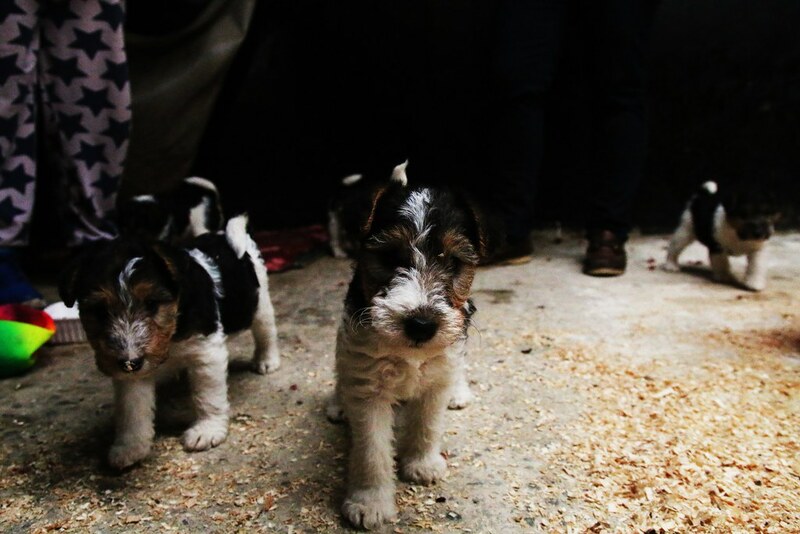 A huge thanks goes to Vix's owners for letting me visit and meet the puppies. 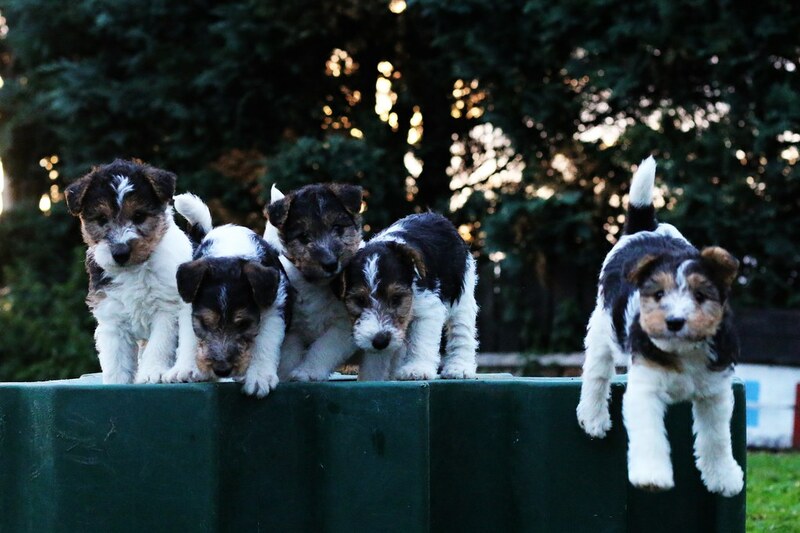 Oh my god, the cuteness! 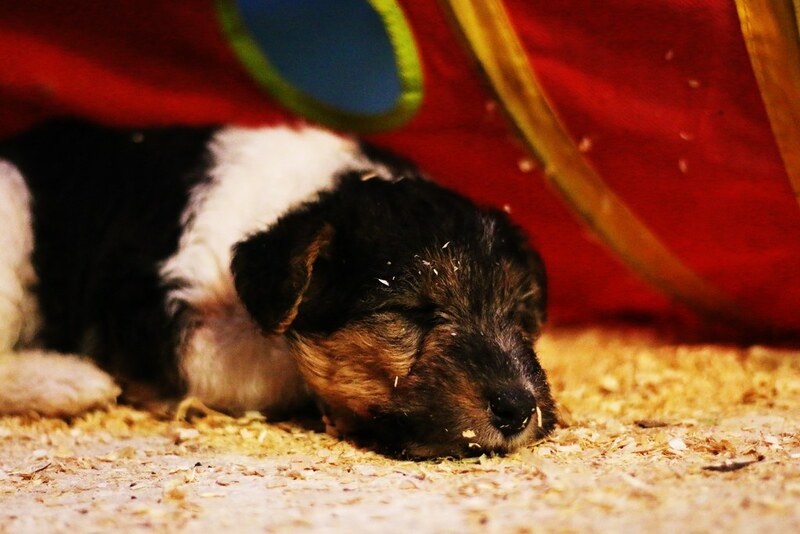 I can't handle it. 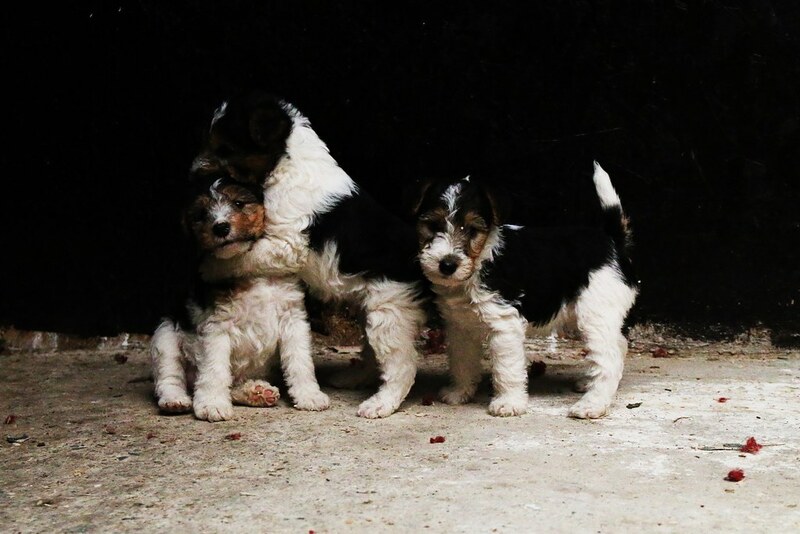 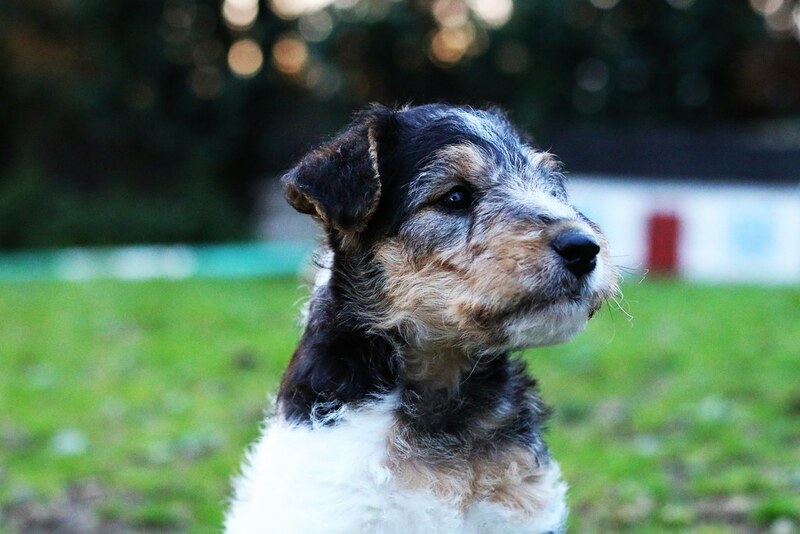 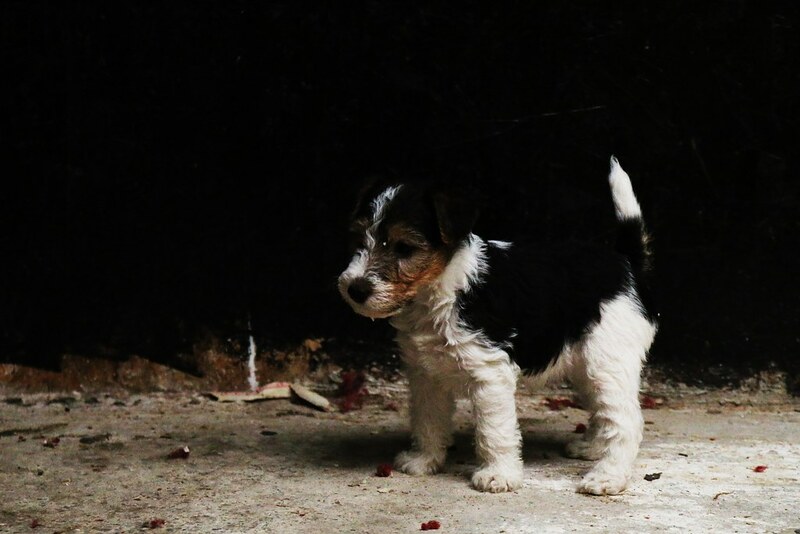 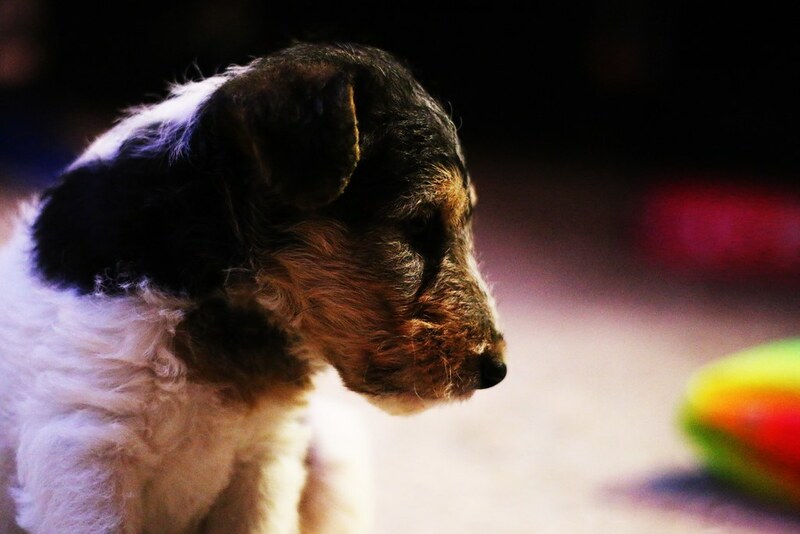 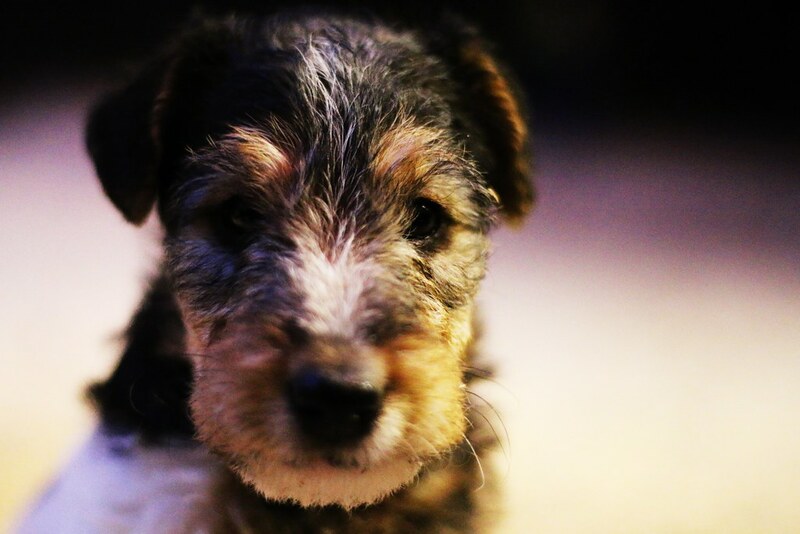 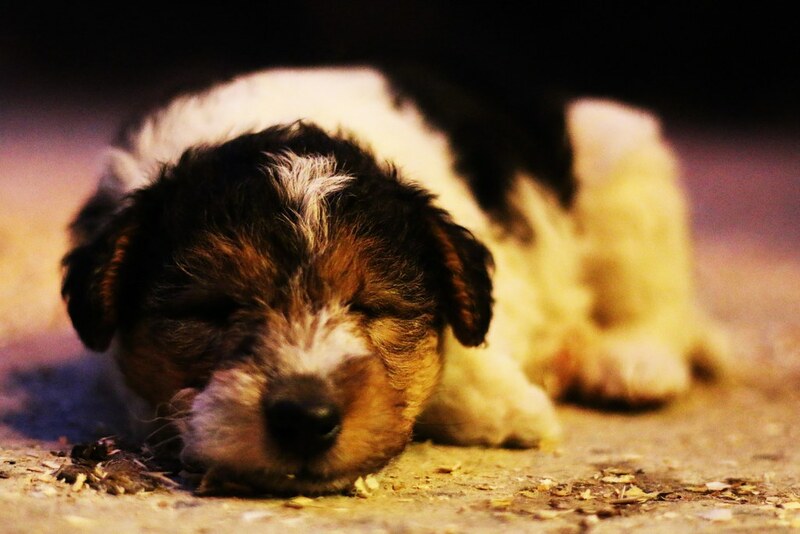 <3 I love fox terriers! 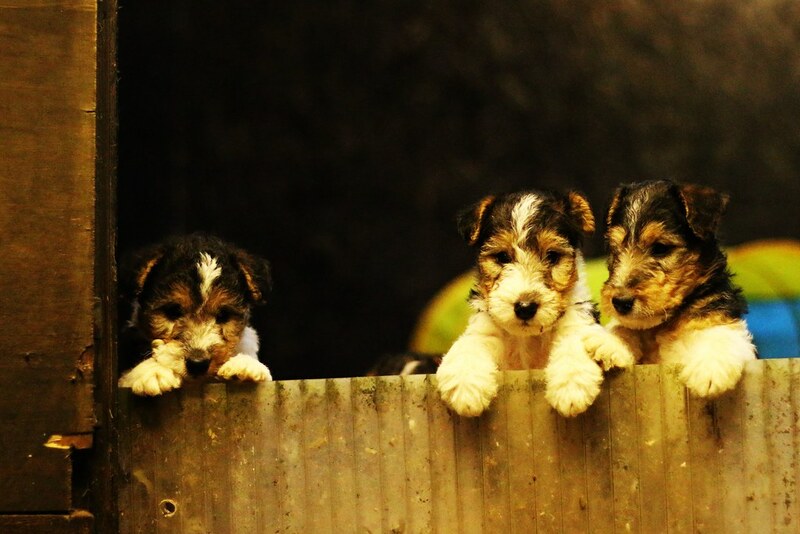 Awww, I love their sweet little faces!